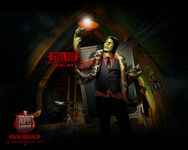 Cirque du Freak: The Vampire's Assistant - Darren Shan Wiki - The wiki about all Darren Shan books! 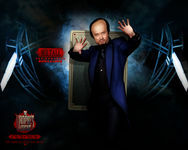 Cirque du Freak: The Vampire's Assistant is the 2009 film adaptation of the first three books of the book series, The Saga of Darren Shan, by author Darren Shan. The movie began filming on February 8, 2008 in New Orleans and wrapped up June 3, 2008. 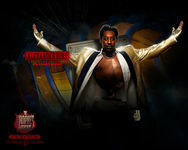 The film is distributed by Universal Studios. Some of the movie was filmed on a set constructed within New Orleans City Park, approximately 1000 feet off to the side of the road, along Harrison Avenue. The film was originally set for release on January 15, 2010, but was moved forward to October 23, 2009. It is a very loose adaption, having little in common with the books other than the characters' names. 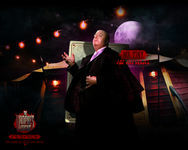 The Vampire's Assistant, based on the popular series of books by Darren Shan called The Saga of Darren Shan, is a fantasy-adventure about a teenager who unknowingly breaks a 100-year-old truce between two warring factions of vampires, a peaceful group called the Vampire Clan who don't kill their victims, and a group of stereotypical bloodsucking killers called the Vampaneze. 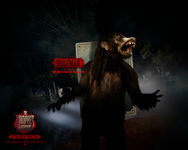 Pulled into a fantastic life misunderstood sideshow freaks and grotesque creatures of the night, one teen will vanish from the safety of a boring existence and fulfill his destiny in a place drawn from nightmares. 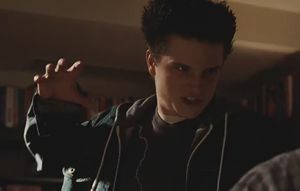 Typical 15year-old Darren (Chris Massoglia) hung out with his best friend Steve (Josh Hutcherson), got decent grades, and usually stayed out of trouble. But when he and Steve stumble upon a traveling freak show, Steve recognizes one of the performers as a vampire. After the police shut down the show, Darren and Steve get separated. 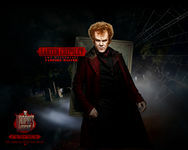 Steve goes to the vampire Larten Crepsley (John C. Reilly) and tries to convince him to make Steve into a vampire. 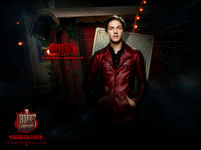 Darren went to steal Crepsley's poisonous spider Madam Octa, and overhears the conversation between Crepsley and Steve. Crepsley says Steve has bad blood and refuses to turn him into a vampire. Steve swears to kill Crepsley and leaves. When Crepsley realizes that Madam Octa has been stolen, Darren runs away as fast as he can until he runs into a limo. He is told to get inside and there he meets Desmond Tiny (Michael Cerveris) and Murlough (Ray Stevenson). They drop him off at his house where he sneaks back into his room. The next day at school, Darren has Madam Octa in his locker and Steve sees him talking to her. Darren reveals he overheard the conversation between Steve and Crepsley. As Steve tries to take a look at Madam Octa, she escapes and bites him. Darren goes to Crepsley to ask for the antidote. Crepsley agrees to under the condition that Darren become his assistant as a half vampire. Darren agrees reluctantly and Crepsley bloods him. They go to the hospital where Crepsley administers the antidote. Darren then sounds the alarm forcing Crepsley to leave without him. However the vampire part of Darren soon begin too be to much for him to handle. After Darren nearly feeds on his sister he agrees to leave with Crepsley. He fakes his own death and a funeral is held for him. During the wake Steve notices the scars on his fingertips from when Crepsley converted him into one of his own kind. Crepsley then digs up Darren's grave when they are attacked by Murlough. Murlough wants to capture Darren and bring him to Tiny. Crepsley eventually manages to lose Murlough and return to the Cirque. Darren meets and becomes friends with Evra Von (Patrick Fugit) the snake boy and Rebecca (Jessica Carlson), a girl with a monkey tail, and the three quickly become friends from the work they do together. As Steve is contemplating suicide, Mr. Tiny stops him and offers him a chance to become a Vampaneze like Murlough. Tiny has several Vampaneze go to the Cirque to kidnap Darren. As Darren hasn't fed yet he doesn't have any powers and is forced to run while the rest of the Cirque tries to stop them. In the end they kidnap Rebecca and have Evra tell Darren to go home. d Steve leaves (Murlough came with them.). Darren then says goodbye to Annie, with Rebecca waiting, as they do so. Mr. Crepsley then hypnotizes Mr and Mrs. Shan. Later outside the Shan residence, Rebecca and Darren kiss, then forming a relationship between them. At the Cirque, Mr. Tall holds a democratic vote for whether Darren/Hero should stay or go. Alexander Ribs, Corma Limbs, Madame Truska, Mr. Crepsley, Rebecca, Evra Von, several others, and even Harkat Mulds (who pushes through the crowd of little people to vote) votes for Darren to stay, making Darren able to stay and become a member of the Cirque. Then Mr. Crepsley and Darren have a little chat outside, and Larten remarks he has a gift for Darren's tent. At the near end, Mr. Crepsley is shown tending Madame Octa, only to be interrupted by Garvener Purl, who says that they should be ready to tell the boy (this is a hint, that the next movie is coming up.) in which Mr. Crepsley replies let the boy rest for a day. In the end, Evra and Darren open Mr. Crepsley's present which is a coffin, that Darren sleeps in, as he gives his ending speech. 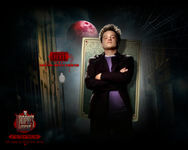 "Cirque du Freak: The Vampire's Assistant" was shot in New Orleans, the village of Folsom and Baton Rouge, Louisiana. Some of the characters required a great deal of prosthetics and makeup led by Steve Koch, Brian Sipe and Mark Garbarino. Prosthetics did not quite add the height needed on certain shots for the character of Mr. Tall played by Academy Award-nominated Ken Watanabe. Although Watanabe’s height of 6 feet is tall, a body double was cast for certain shots. Trevon Flores, a local basketball player, stands at 6-foot-10, 210-pounds and was used for certain shots to show the abnormal height of Mr. Tall. 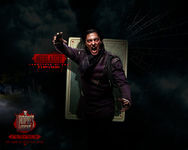 Additionally, Ken Watanabe utilized dialogue coaches Kathleen S. Dunn and Francie Brown in pre-production and production to further enhance his performance as the circus barker. The filmmakers will be taking advantage of computer-generated imagery to portray other fantasy elements. Recently, John Marshall High School (Los Angeles) was used to film a few parts of the movie. They also used Lusher Charter School in New Orleans to shoot a couple of scenes from the film. 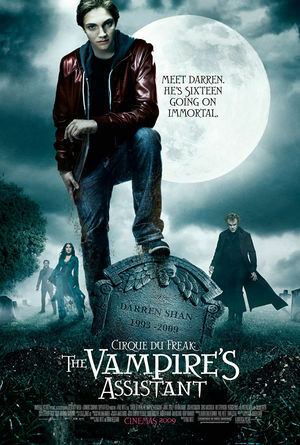 According to IMDb, filming of "Cirque du Freak: The Vampire's Assistant" was finished early in 2008 and the film was released on 23 October 2009. The film is rated PG-13 for sequences of intense supernatural violence and action, disturbing images, thematic elements, and some language. They also changed Darren's love interest, Debbie Hemlock, but because of so many complaints they claim they will bring her into one of the later films. 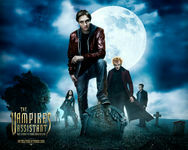 The score to "Cirque du Freak: The Vampire's Assistant" was composed by Stephen Trask, marking his third feature film with director Paul Weitz. He recorded his score with an 86-piece ensemble of the Hollywood Studio Symphony at the Newman Scoring Stage at 20th Century Fox. This page was last edited on 6 May 2014, at 06:03.